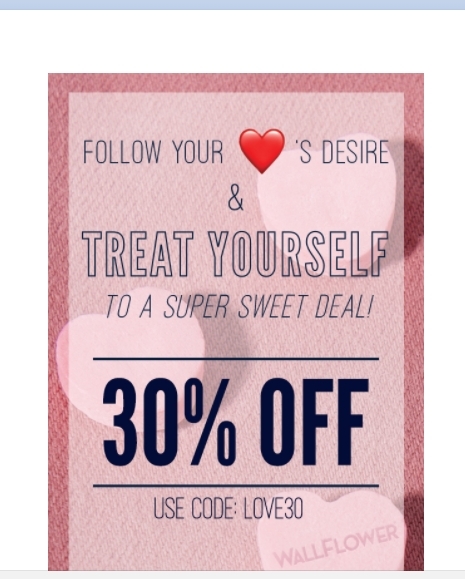 Laura DeLuca *Coupon code is valid until 2/18/18 11:59PM. Coupon must be entered during checkout to receive discount. Sale Items are FINAL SALE and cannot be returned or exchanged. Orders cannot be cancelled or modified once they are placed. 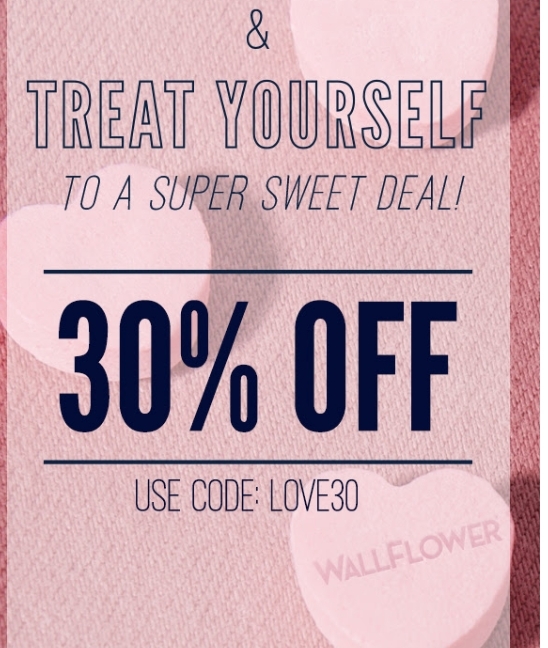 Katie Enter the promo code LOVE30 during the checkout process to receive this discount. There may be some exclusions that apply to this deal.